Once you’ve experience the thrill and power that a burnout offers, you will want to do it again and again. Ford is now giving all Mustang owners that opportunity. It has announced that the Mustang line-lock features will come standard on all 2018 Mustang models, including those equipped with the 2.3-liter EcoBoost engine. Line-lock, which is a truck-exclusive feature, is used by drag racers to warm up the tires just before the race begins. When activated, line-lock builds up pressure in the front brakes so the driver can hit the throttle and spin out the rear wheels for up to 15 seconds. In addition, Mustangs equipped with the available 12-inch digital instrument display will get see an animation of a tire throwing up a cloud of smoke when line-lock is activated. Here at L&L Motor Co., we are excited that Ford decided to add the Mustang Line-Lock feature to all Mustang models. 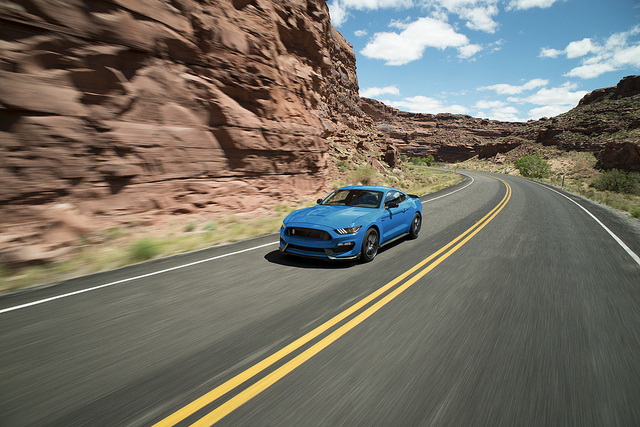 No matter if you choose the EcoBoost, V6, or one of the V8 engines, the Ford Mustang is guaranteed to deliver a thrilling ride. In the battle of the Mustang vs. Camaro, there is a clear victor: the mighty Mustang. Ask several people whether the Mustang or the Camaro is the best American muscle car and you might get different answers. But that’s only because asking a couple people only gives you a small perspective on how the seemingly never-ending fight between the two iconic cars is going. The Camaro got a boost in sales when Megan Fox leaning over it in Transformers made it briefly super popular, but the ‘Stang soon came right back it at it. 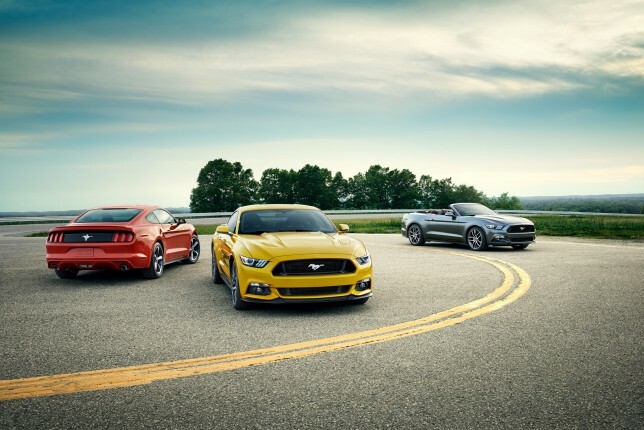 Sales were neck and neck in 2012 and 2013, and the Mustang finally jumped ahead again in 2014. Now, the Mustang vs. Camaro showdown isn’t even close. In June, the Mustang outsold the Camaro 11,719 to 8,611 cars, and both were ahead of the Challenger’s 6,845 units. Though the Camaro saw sales increase by 11.5 percent, it couldn’t keep up with the Mustang’s whopping 53.6 percent improvement. At L&L Motors, we think it’s because of the Mustang’s 2.3-liter EcoBoost four-cylinder engine. 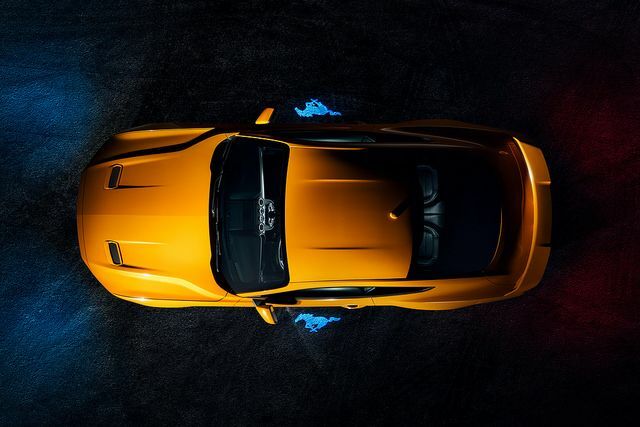 It sounds blasphemous to say “four cylinders” and “Mustang” in the same sentence, we know, but the thing Mustang put under that hood is truly impressive and is responsible for 36 percent of the car’s sales. You really ought to try it for yourself! Plenty of vehicles can go from zero to 60 miles per hour in a handful of seconds, but a recently upgraded 1968 Ford Mustang is putting them all to shame. The Zombie 222 package for Mustangs, created by Mitch Medford, is helping a 1968 Ford Mustang hit the 60 mph in just two seconds. Medford is currently planning on converting many old Mustangs into modern electric drag racers, using innovative technologies that have never been seen before. If its zero to 60-time is any indication, we’d say that this Zombie 222 Mustang is a pretty good advertisement. This powerful vehicle hosts two electric motors, which combine to produce more than 800 horsepower and 1,800 pound-feet of torque. The Zombie 22 Package also allows the ’69 ‘Stang to hit an astounding top speed of 175 mph, leaving its competition in the dust. You can check out a test run of the 1968 Mustang with Zombie 222 package here.